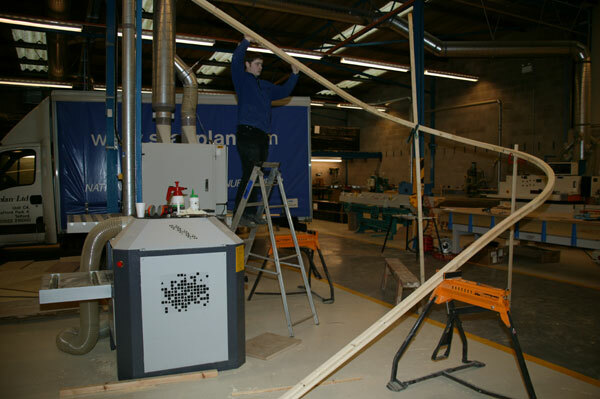 Wreathed handrail is very complex as the handrail profile has to follow a curve and the rise of the staircase whilst keeping the profile of the handrail level. 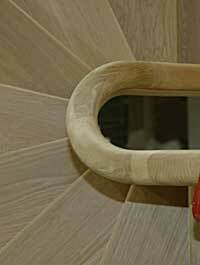 To produce this handrail we use the latest in 5 axis CNC technology and software. 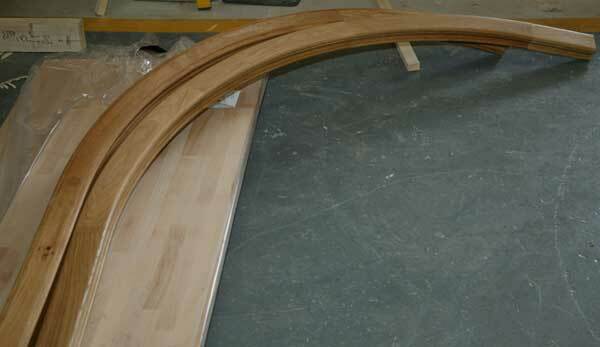 This technology enables us to produce the wreathed handrail sections on our staircases with acuracy and we can pre joint these curved sections in the workshop. 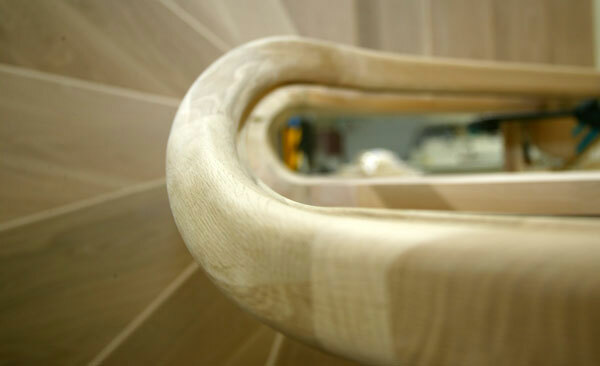 Unlike 99% of the other staircase manufacturers in the market our ability to product the curved and wreathed handrail sections in-house means we remain in total control of the project and are not left relying on a third party. 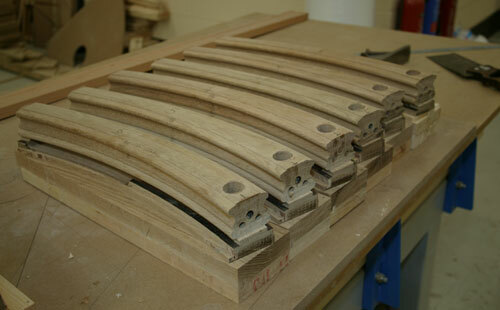 The wreathed sections are machined from blockes of timber before being seperated from the block and then prepared to be jointed. 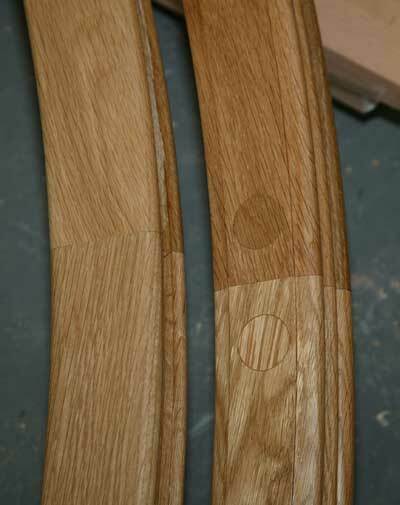 This is a picture or the same wreath handrail sections showing the joint from the top on the left and from the bottom on the right. 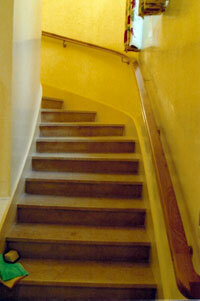 The handrail shown here was for a property in Saint Jean Cap ferrat near Monaco in the south of France. Due to the location of this property the photo shows a Pine handrail that was initialy sent out as a trial to check the accuracy of the handrail before we went on to produce the Oak handrail. This was tried onto the existing staircase and fitted perfectly. This as given us confidence in the software and CNC machinery we use to produce such items .